The Douglas fir tree is probably my favorite evergreen. It was the usual tree that my family selected for Christmas when I was a kid. They smell soooo good! And in my opinion, they are visually stunning as well, even without the lights, the ornaments, and the string of cranberries. 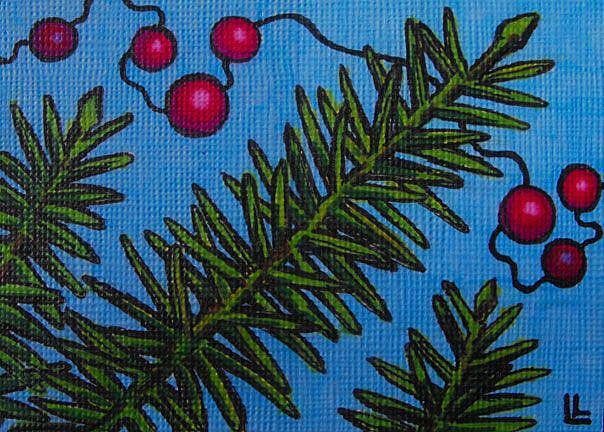 The doug fir and memories of holidays past were the inspiration for this ACEO, created specifically for the Evergreen Exhibit here at EBSQ.